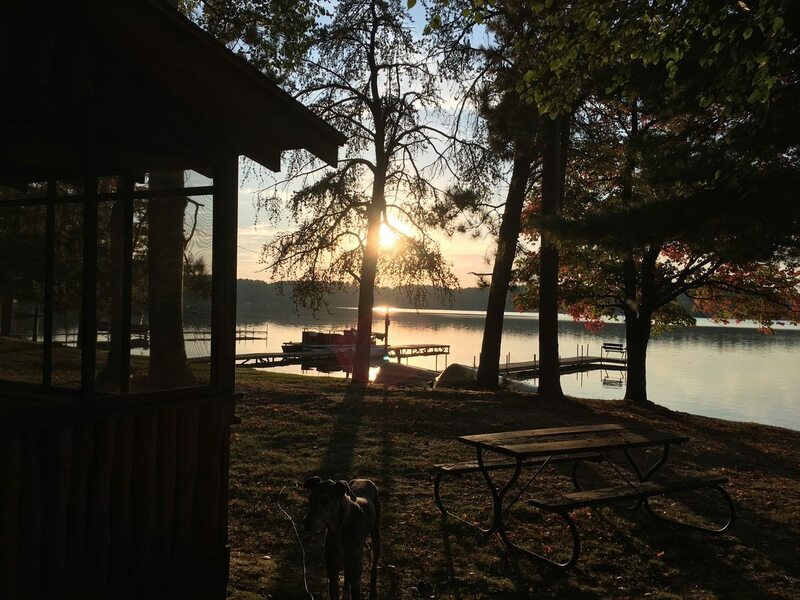 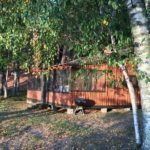 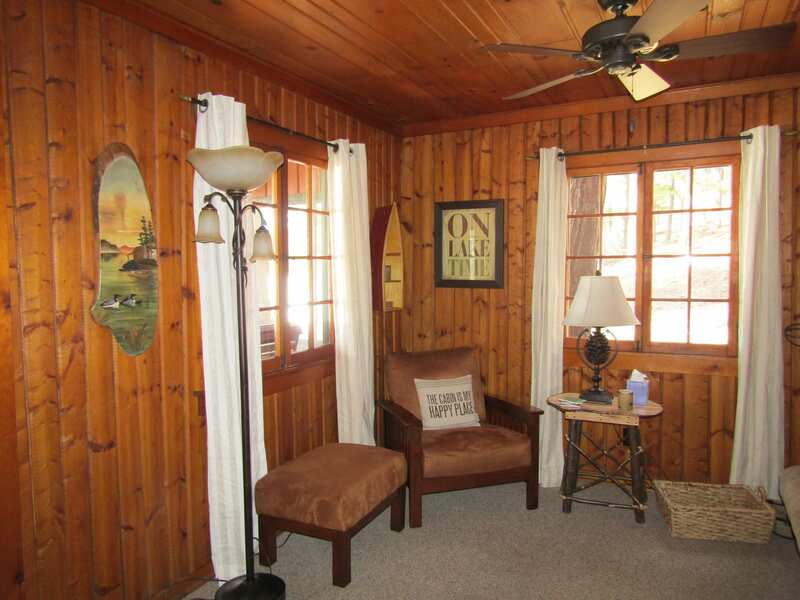 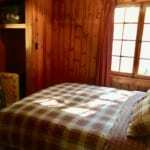 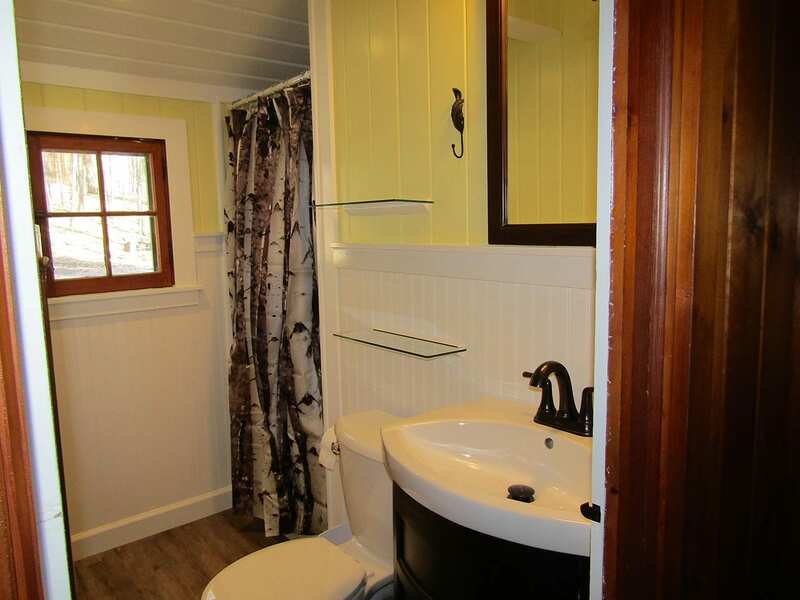 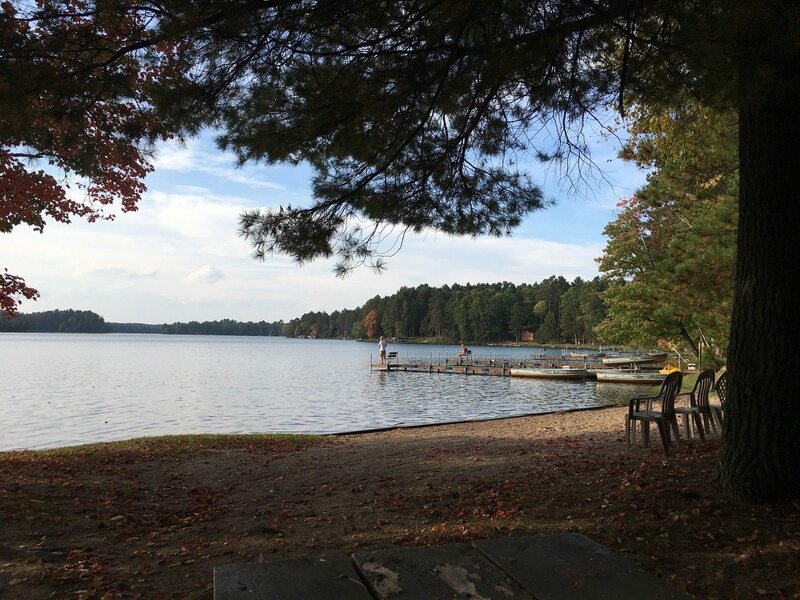 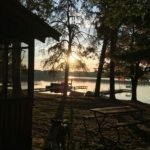 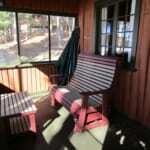 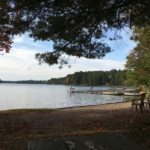 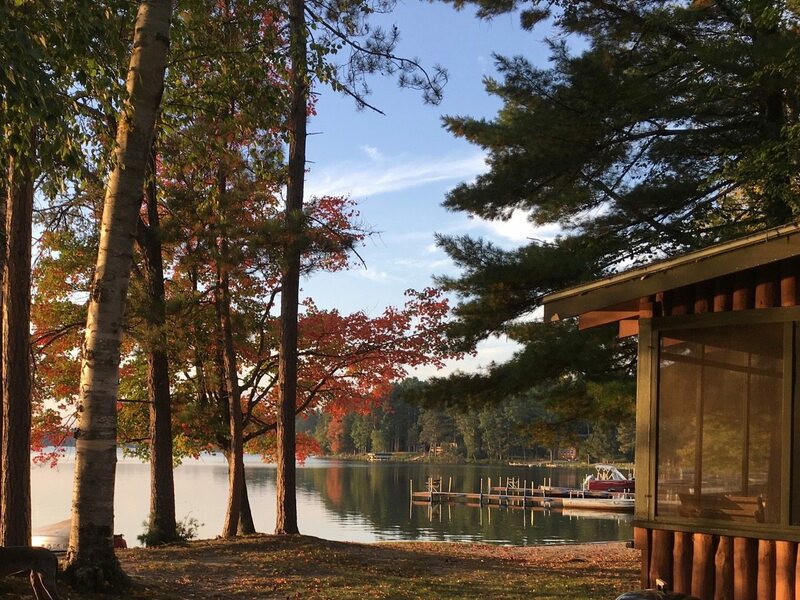 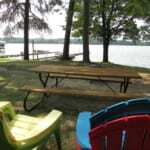 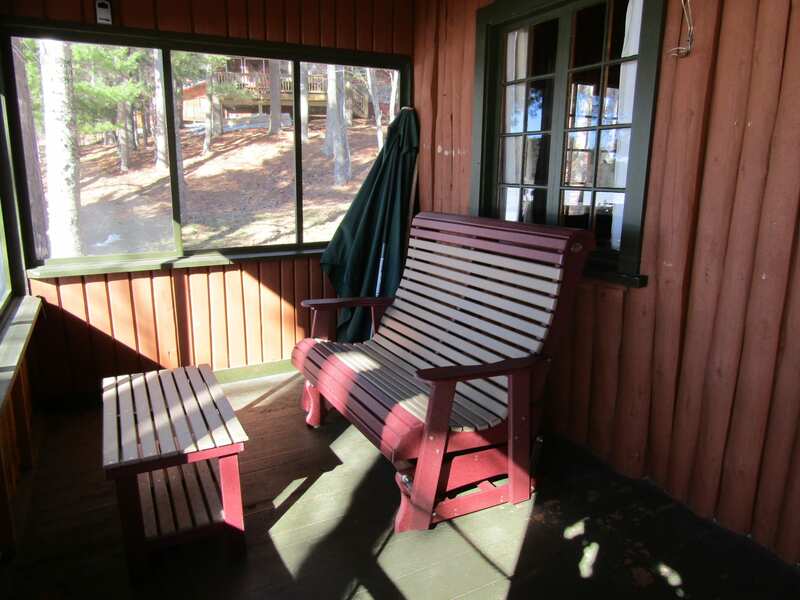 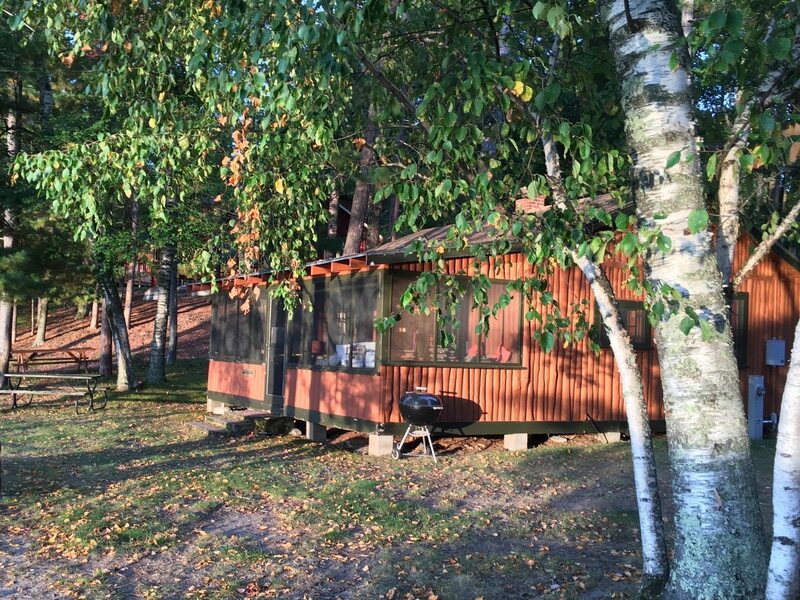 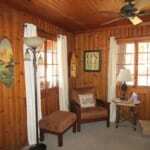 This lovely 2 bedroom knotty pine cabin on Little St. Germain Lake is flat to the water and just 40’ from your front door to the lake. 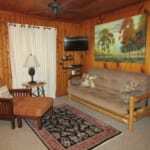 The west view over the bay provides beautiful sunsets and less than 35’ from the large sandy beach w/swimming area. 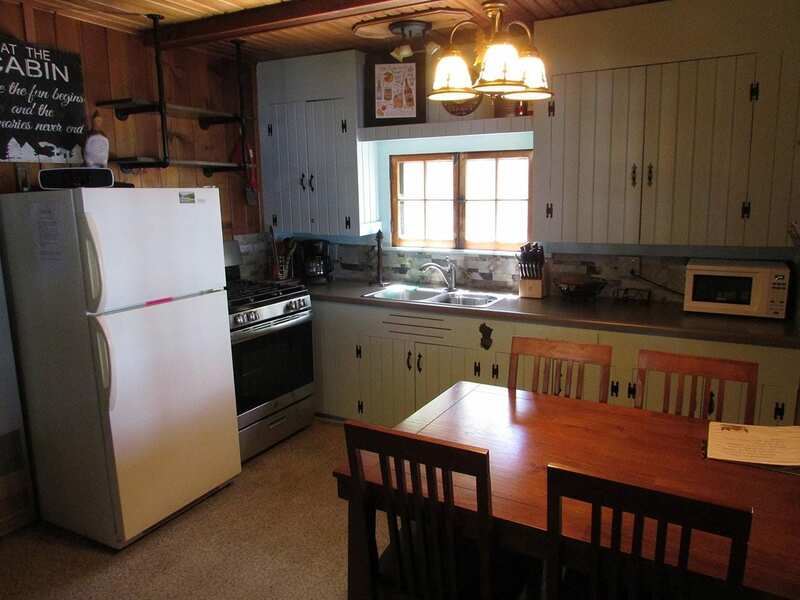 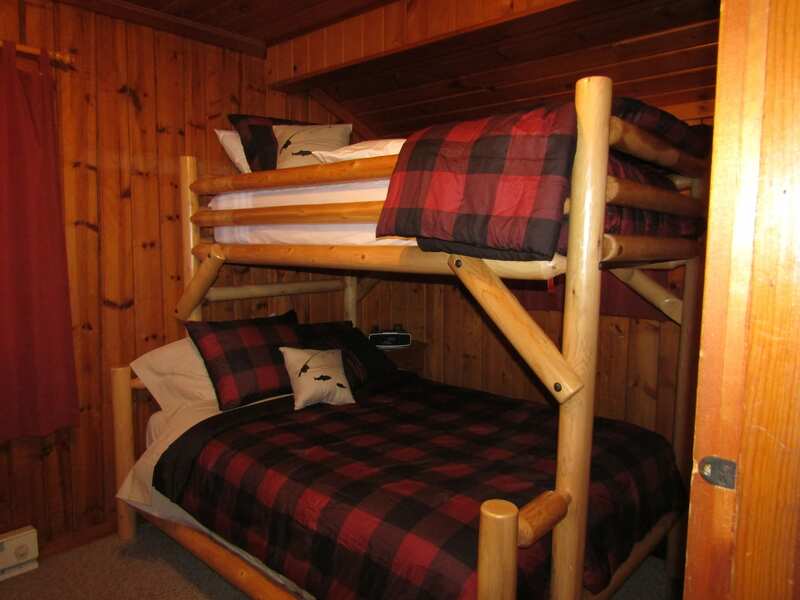 The cabin comes with a full kitchen, playground w/basketball hoop, lakeside campfire pit, fish-house, 14’ aluminum boat, color cable TV and lake-side screened in porch. 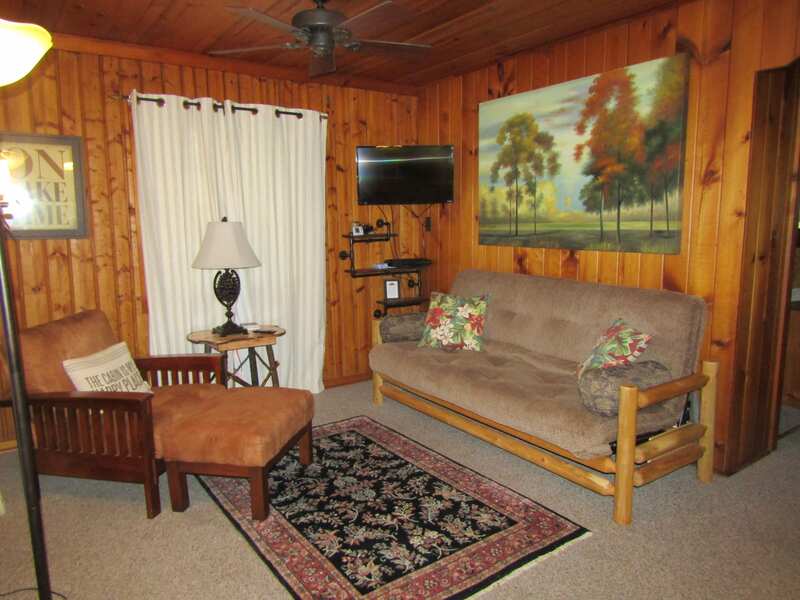 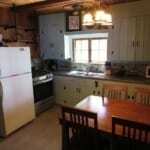 You are only ½ mile from horseback riding, go carts, miniature golf and ice cream shop. 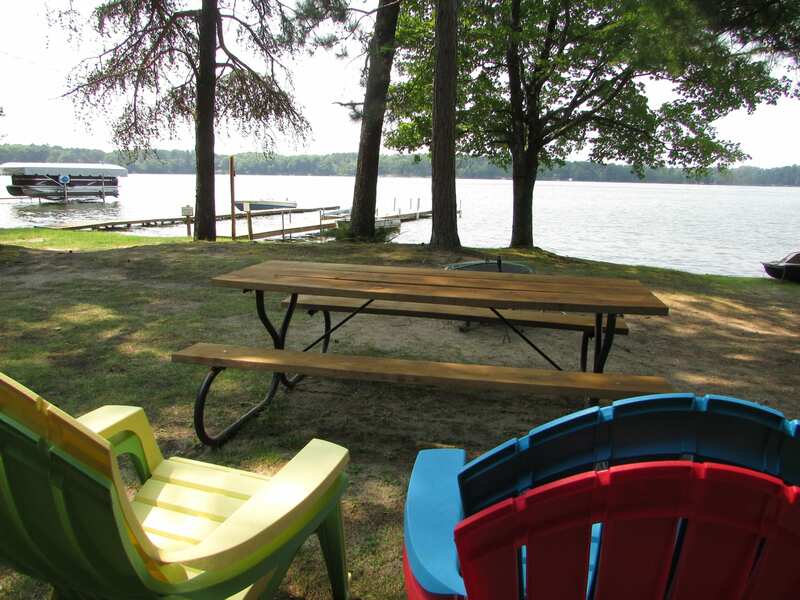 Pontoons, 16.5’ fishing boat and motor rentals also available. 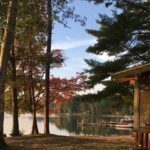 Deposit of $300 required to hold summer weekly reservations. 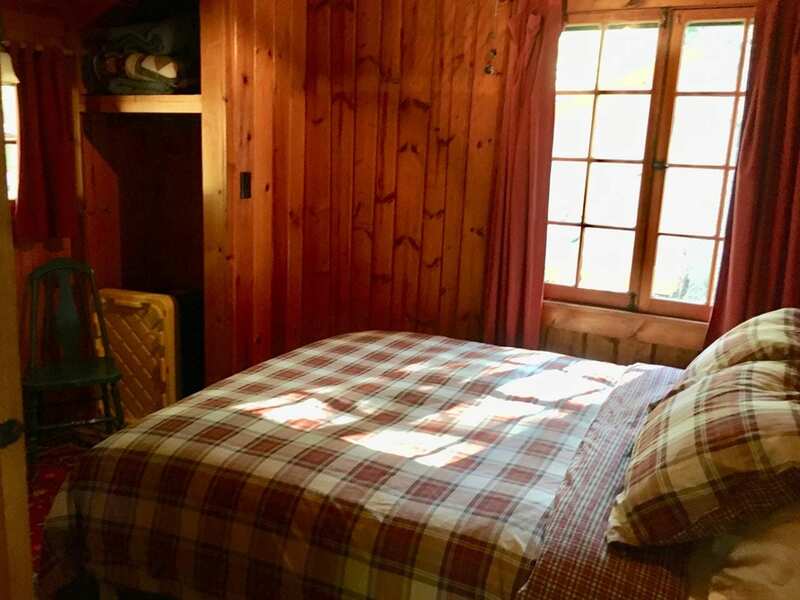 A 4 night minimum for Memorial and Labor Day weekends. 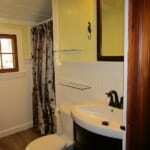 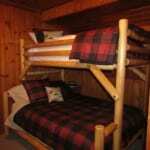 $75 weekly charge for each additional person and $15 nightly, maximum of 6 people.